Grocery Rescue Manager Carmen Daugherty is all smiles. Courtesy photo. 7BCC is responsible for the cooler and a whole lot more, all in the name of “connecting the community through food.” And yes, the produce is free, thanks to their efforts to implement “grocery rescue” in Sandpoint. 7BCC is the nonprofit associated with Bistro at Home, a for-profit created and run by Black (chef) and Lucero (brand manager). 7BCC is their way of giving back to the community, Lucero said. The grocery rescue is a fairly new aspect of their operations, having only been around for a month. 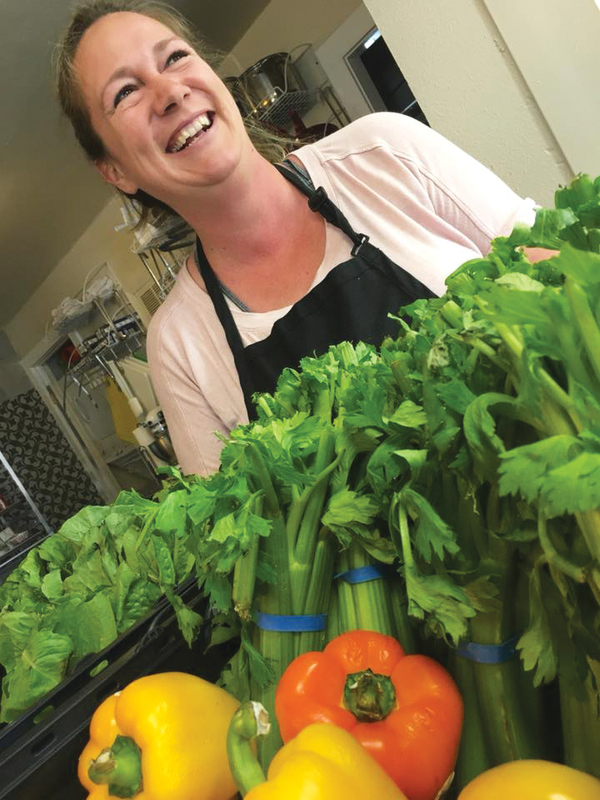 The nonprofit’s other programs include a small dry goods pantry (also located at the 503 Cedar St. location, near Foster’s Crossing) and cooking classes for children ages 2-12. Lucero said the kids’ classes began thanks to popular demand and typically run $30-$40. The hope is to educate local children in the entire food production process from start to finish. “The Little Pantry” where a sign reads: “Take what you need, leave what you can.” Courtesy photo. Lucero said community support for the dry goods pantry has been a pleasant surprise. 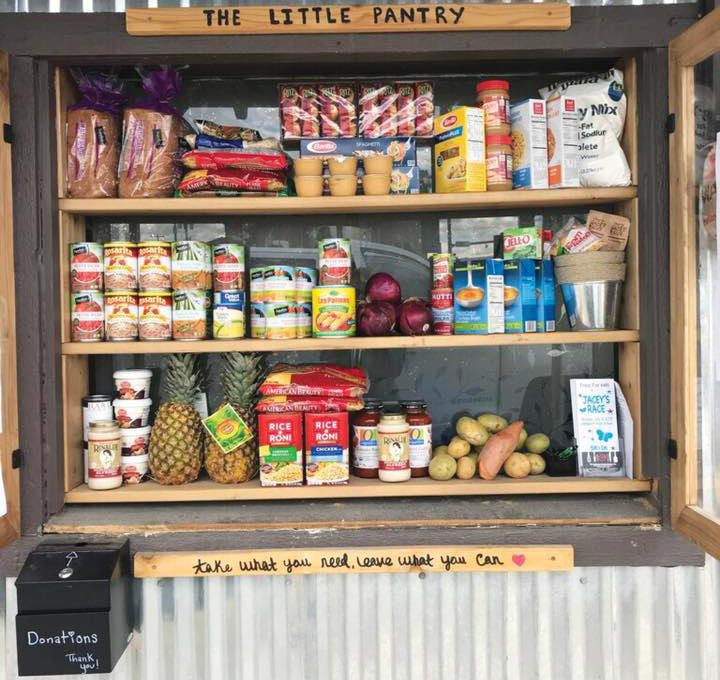 Originally, 7BCC put aside funds to keep the pantry stocked, but have only had to do so twice since they moved into the Cedar Street building in November. “One time I put up a post on Facebook (about how it was almost empty), then came back the next day and stuff was falling out,” she said. She said suggested items for the pantry include low-sodium and organic canned goods, as well as whole wheat bread and pasta. When it comes to their cooler and pantry, 7BCC’s policy is simple: Take what you need, leave what you can. And everyone is welcome. Keep up to date on all 7BCC happenings on their Facebook page, or contact them at (208) 304-7328.